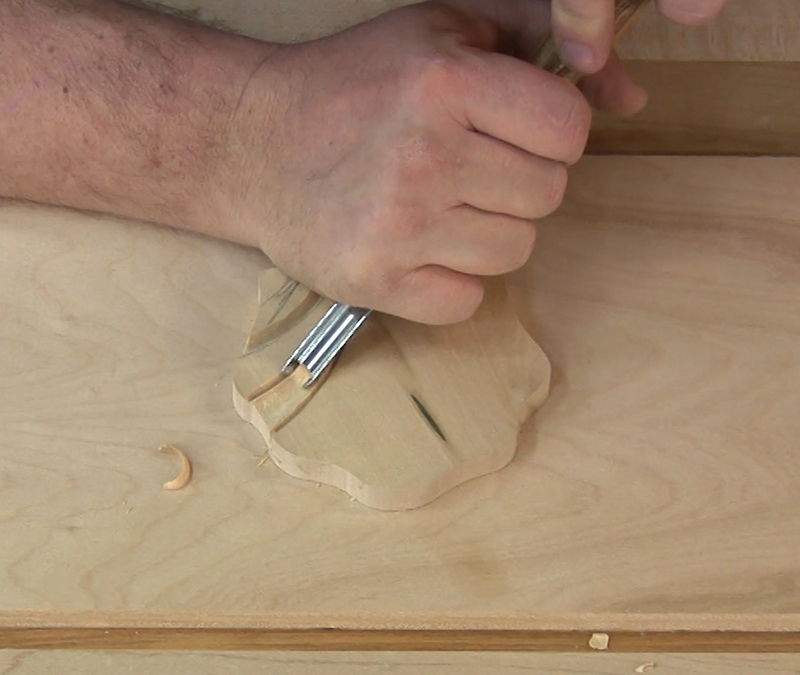 There are a handful of carving tool cuts every budding woodcarver needs to know. They’re essential because they help you remain in control during the cut, ensuring your carving turns out as planned. It’s all about control. Learning the fundamental cuts (push, pull, slice and chop) combined with an understanding grain direction puts you in the driver’s seat when it comes to carving. Similar to learning how to sharpen and set up a hand plane, practicing the basic cuts help you decide where and when to use them individually or when they ought to be combined. As I mentioned earlier, there are four fundamental carving tool cuts: push; pull; slicing, and chop. Probably the most familiar is the push cut. It doesn’t differ all that much from what most of us do with a bench chisel. 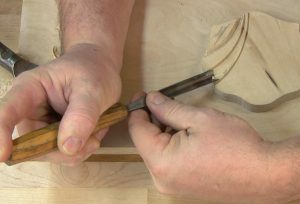 The pull cut is probably the one that seems the oddest to woodworkers because we’re trained from birth not to point a sharpened edge toward us when we work. If done correctly, there’s as much danger of cutting yourself on a pull cut as there is of slicing yourself while using a drawknife. 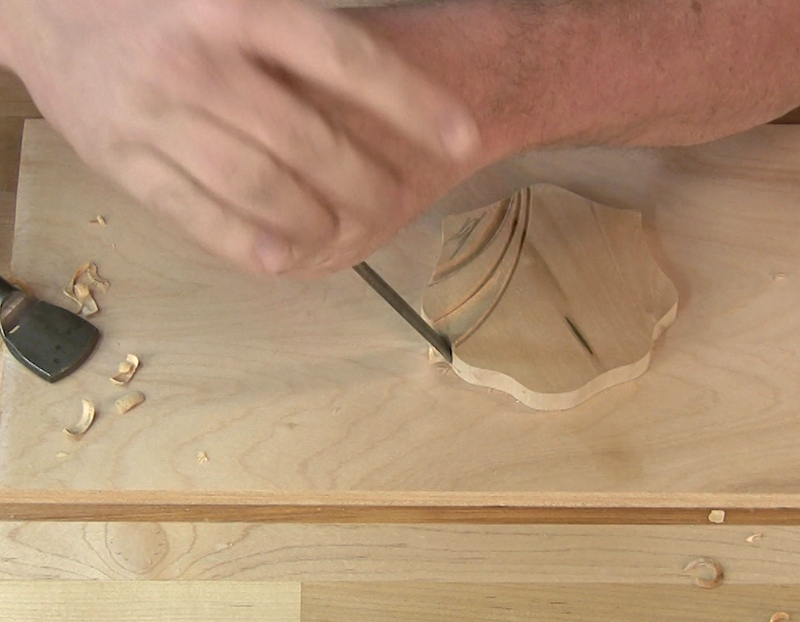 The chop cut, whether powered entirely by hand or with a mallet, is about as familiar to woodworkers as the push cut. 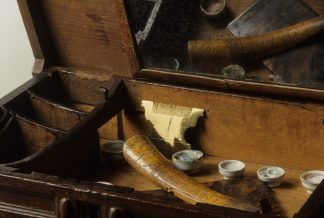 We’ve all chopped out dovetail waste, mortise-and-tenon joints, or gained a hinge with a mallet and bench chisel. Well, the chop cut with a gouge is no different in the end. The purpose is to sever the long-grain fiber so you can use the other cuts to remove the material in a controlled manner. It’s the slicing cut that budding carvers struggle with most. I find woodworkers of all levels tend to have the most difficulty with this cut even when using bench chisels. When slicing, you need to move the tool in a forward direction while utilizing the full length of the edge. Usually, this means the entire tool is not cutting all at once. In the video below, I demonstrate each of the basic cuts and give you pointers on how to get the most out of each. 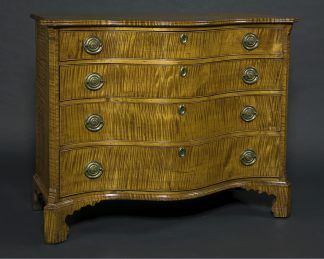 If you’d like to learn more about carving for furniture, check out my Carved Elements: Finials & Fans class August 19th through the 23rd, 2019.